A behind the scenes glimpse at a ballet provides a fascinating and probing look into the creative process. With most big, creative endeavours, there’s a world of difference between concept and execution. A film or performance might last two hours, but in a lot of cases it takes weeks, months, or even years of hard work to create that relatively short final product. 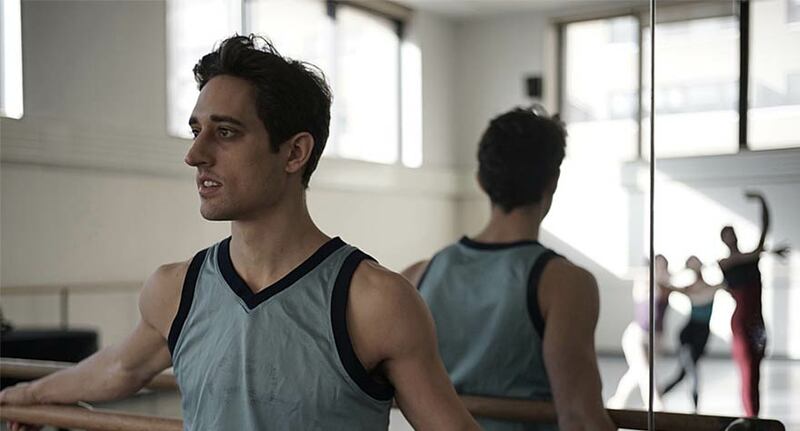 Director Jody Lee Lipes, known for his cinematography on films like Martha Marcy May Marlene and Tiny Furniture, puts his focus on the long, grueling process of bringing something creative to life in Ballet 422. A series of brief, introductory title cards introduce us to Justin Peck, a 25-year-old dancer and choreographer at the New York City Ballet. He’s been commissioned by the NYCB to create the only new ballet for their Winter 2013 season, and he only has two months to put it together. From that point on, Ballet 422 quietly observes Peck as he tries to get his work, Paz de la Jolla, done in time for the NYCB. Anyone expecting some sort of dramatic look at a tumultuous stage production will be sorely disappointed; the ballet more or less goes off without a hitch, with little to no conflict between Peck and the people working under him. Lipes acts as a fly on the wall, letting his camera capture the large amount of preparation and work going into Peck’s ballet. So what is the point of Ballet 422, then? Lipes’ background as a cinematographer might have been a large influence on his direction, as he’s used to helping directors bring their vision into reality. Lipes primarily films Peck communicating with different areas of the production, making sure everything gets pulled off the way he wants. By putting the focus entirely on these interactions, Lipes strips away the mystique and romance one might usually associate with the arts. These are people merely doing their jobs. It just so happens that their job involves bringing someone’s artistic vision to life. Lipes, whose vérité-esque style recalls Frederick Wiseman’s work (it’s also hard to watch and not be reminded of Robert Altman’s The Company), leaves the door open for interpretation. The title, Ballet 422, could serve as a hint for what the film’s overall point may be. The number 422 isn’t significant. Nothing about Peck’s ballet suggests anything remarkable about it. It’s just another ballet, like the 421 before it, and the unknown amount of ballets to come after. Peck puts a huge amount of effort in his project; brief scenes at his apartment after work show him going over rehearsal footage to prepare for the next day. Watching Peck’s ballet come together through such a dull context makes it easy to wonder if all the effort is even worth it. That sounds a little bleak, but it’s an idea Lipes tends to flirt with rather than hammer constantly. His detached approach makes it easy for these sorts of themes to float through without dominating the film. It’s only towards the end, a mostly anticlimactic build-up to the ballet’s first performance, that Lipes takes a more obvious stance. The opening night performance is never shown. Instead, a montage of previous scenes plays, giving off the sense that Lipes wants to highlight the kind of work that never fully translates into what’s on stage. Once Paz de la Jolla ends, Lipes refuses to show anything celebratory; Peck leaves the theatre to go to his dressing room, suiting up to perform in the next ballet of the night. With his own ballet finished, it’s time to move on to the next thing. It’s strange to see Peck’s ballet and its development shown in this way. There are plenty of stories of artists spending ages working on their own projects, constantly fighting and struggling to get their work finished. Artistic efforts tend to be associated with something personal, exhausting and difficult. Ballet 422 shows the opposite. Here’s someone putting their own ballet together from scratch, and treating that process like a business. Does that artless method of creating art take away from Peck’s work? Does the amount of time and effort put into Paz de la Jolla ever pay off? Is the act of creating even worth it, given the high risk and low reward? Ballet 422 prompts these kinds of questions, but thankfully never tries to answer them. Lipes recognizes how rewarding it can be to explore these issues rather than provide a solution. 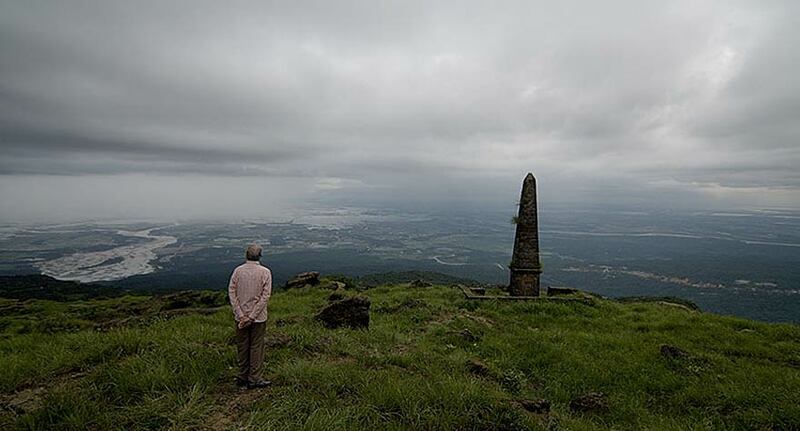 Sturla Gunnarson gives a tourist's perspective of India's monsoon season in this bland, middlebrow take on a subject that's anything but.